WCEAM 2019 will be held in Singapore from 28 to 31 July 2019 and is a collaboration between ISEAM, The Future Resilient Systems research program at the National University of Singapore, Temasek Defence Systems Institute, Beihang University, P R China and ETH Zurich.  The Congress is titled the World Congress on Resilience, Reliability and Asset Management. Click here to access the Congress web site. WCEAM 2020 will be hosted by the Federal University of Mato Grosso do Sul in Bonito, Brazil and WCEAM 2021 will be held in Seville, Spain and hosted by the University of Seville. Details will be made available in due time.